Clowns can be fun, but they also can be horrifying. 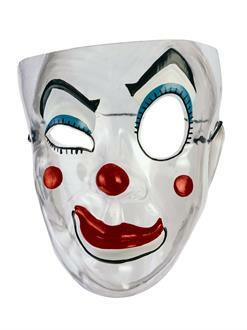 This Halloween, purchase the Transparent Mask- Clown to show off your love for clowns. Depending on the attitude you want to give to friends and neighbors, you can be a scary clown or a happy, misunderstood clown. Plan you outfit accordingly! Don’t forget to practice clown tricks and jokes too.